"God thunders wondrously with his voice; he does great things that we cannot comprehend. For to the snow he says, 'Fall on the earth,’… Then the beasts go into their lairs, and remain in their dens. From its chamber comes the whirlwind, and cold from the scattering winds. By the breath of God ice is given, and the broad waters are frozen fast” (Job 37:5-10). These words come alive as I reflect upon my recent preaching trip to the UK, and so this is a brief report on how the trip went—for your thanksgiving and prayer. One of the highlights of my visits to the UK is the time I get to visit my elder sister—Mwape—and her family in Brighton. This time, I arrived on New Year’s Day and so I spent the whole day with them. Although it looked sunny outdoors, it was very cold, and so I spent the whole day indoors. T he next stop was Leamington Spa, where I was preaching on Sunday morning, and Hinckley, where I was preaching on Sunday evening. 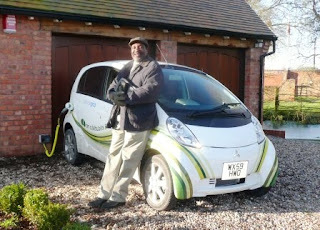 In Leamington Spa, I preached at the Evangelical Church pastored by Bill James (I was driven there by my hosts in their electric car—see picture with the car plugged in for recharge like a cellphone!). The church is one of the few growing conservative Evangelical churches I have had opportunity to preach to in the UK. Their Sunday morning congregation has outgrown their church building and so they have moved into a wonderful new school and are using the gymnasium for their church services. Bill’s wife, Sharon, is an accomplished author with quite a few titles to her name. She has recently put together a small book on male-female relationships and asked Felistas to write the Foreword. We hope to publish a southern African edition of this book soon. The church in Hinckley, on the other hand, had just come out of a rather difficult time and was going through a period of healing and rebuilding. David Ellis, who succeeded Nigel Lacey in Stowmarket, had just recently moved there as their new pastor. I had heard about him and his wife, Barbara, for many years, and so it was a real delight to meet them at last. 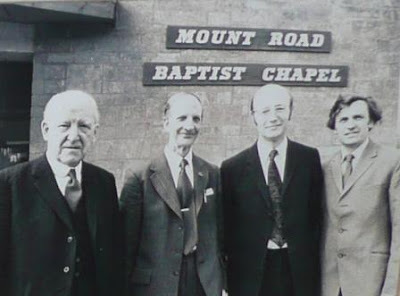 One interesting bit of news for me was that Martyn Lloyd-Jones used to preach in this church quite a lot and was, in fact, the preacher when their church building was opened (picture below). The pastor then was Eric Aldritt, whom I preached for in Keswick a few years ago and renewed fellowship with last year when I preached at the Keswick Convention. With the weekend ministry behind me, I spent Tuesday to Thursday at the Carey Ministers’ Conference. By this time, the snow had come down and everything was white! There is something indescribably beautiful about snow despite the fact that it is brutally cold and makes driving hazardous. I was reliably informed that registration at this year’s Carey conference was the highest they have had for years. Two Zambians—Kent Mukonda and Hezron Muwowo—showed up for a day each and so we had some Zambian fellowship in the midst of the conference activities. It was also good to spend time with Clinton Stone and Richard Raven (and their wives and children). 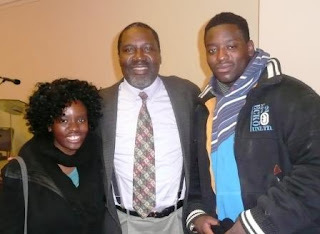 They are from South Africa and are studying for the ministry at London Theological Seminary. The conference itself went very well, despite the harsh weather conditions. Greg Beale and myself were the main preachers, handling three sessions each. I preached on “Christian Joy” and “Joy in Service,” and then spoke on “Perseverance and Progress in the life of Adoniran Judson”. Greg, being from the world of theological training, handled the more difficult subjects. This became very evident during the Question & Answer session, which the two of us had to handle together. 99.99% of the questions were directed at him and were about the topics that he had handled. I merely kept him company on the stage! Other men (Kees van Kralingen and John Benton) handled a session each. There was a ladies stream that was handled by John’s wife, Ann. Kees is from the Netherlands and hardly ever misses the Carey Ministers’ Conference. I first met him there in 2003 when I first preached at this conference. He told me that in the Netherlands the Reformed Baptists are calling themselves Sola 5 Baptist churches! This was because the word “Reformed” had very strong connections with the Reformed Church denomination (like the Reformed Church in Zambia). When the conference ended on Thursday, I immediately left for London, where I was preaching at the East London Tabernacle in the evening. It was good to meet my niece and nephew, Tisa and Gisbon Chigaga, who came to meet with me there (seen with me in picture). The event was primarily organized by Pastors Training International (PTI) who come to Zambia annually to handle pastors’ conferences. 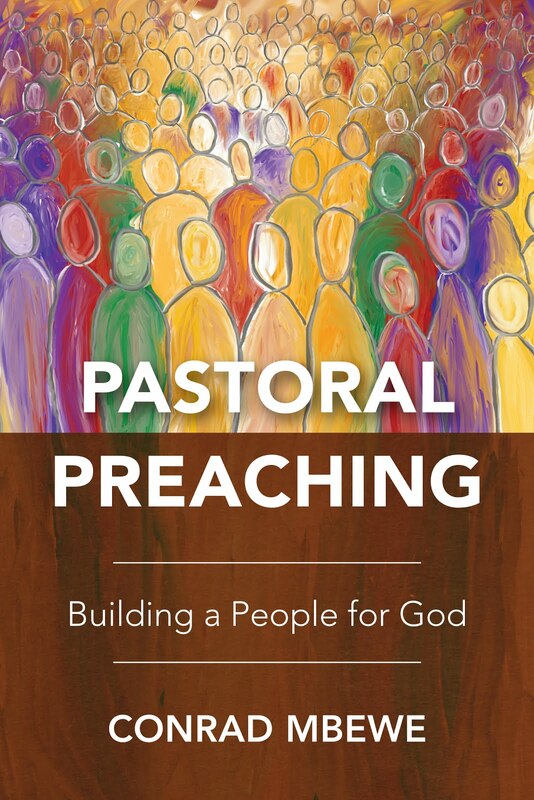 They target pastors who have had little or no pastoral training, and who can hardly afford buying books for their pastoral ministry. 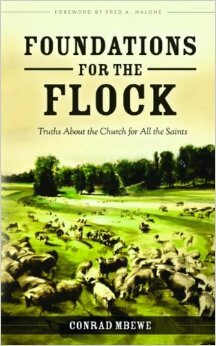 So, alongside their conferences, they also supply small bundles of books to pastors from time to time. 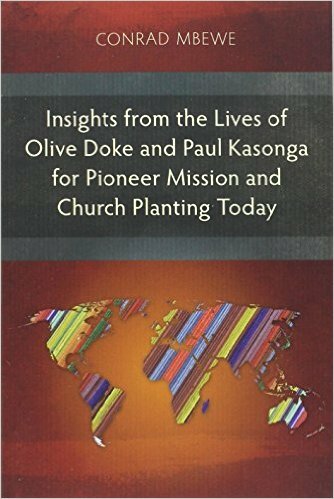 Kabwata Baptist Church helps with logistical support for all this, and so it was a joy to not only preach for them on this occasion but also meet with some of their leaders the next morning for a breakfast meeting to give them some feedback “from the mission field”. 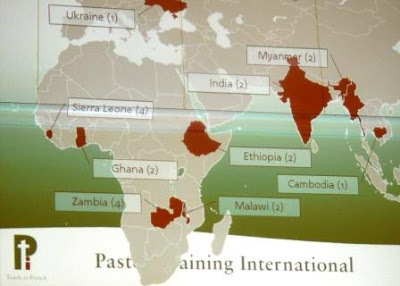 Below is a picture showing the various countries they had conferences in 2009. On Friday morning while still in London, I also managed to squeeze in some YMCA business. I visited the offices of YCare International, one of the major partners of the Zambia YMCA. It was good to see where they operate from and meet some of the key staff. We spent some time talking about the areas where they are presently helping the Zambia YMCA with financial and technical support. With that behind me, and after a stopover at Andrew Alsop’s home for the night, I was on my way to Wales for ministry on Sunday and Monday. On Sunday I preached at both services of the St Mellons Baptist Church in Cardiff. I also did a powerpoint presentation of Baptist history in Zambia and of Kabwata Baptist Church in particular as it is today. 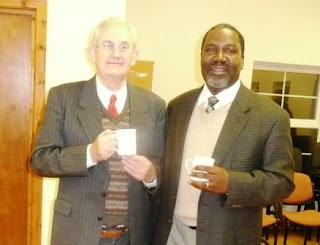 It was good to see good old David Kingdon in the congregation at both services (seen with me in picture). He always reminds me of the time we sang together “Great is the gospel of our glorious God” in South Africa at a conference in order to teach it to those in attendance. Then on Monday I had a short video recording at Mount Pleasant Baptist Church in Swansea, in which I talked about the importance of regular personal Bible reading. I then preached at Ebenezer Baptist Church in the evening. Due to the bad weather, we were not expecting many to come out for the meeting and so were pleasantly surprised when we had a full house. On Tuesday, Alan Levy drove me from Swansea in Wales, to Bradford-on-Avon in England where I did a brief powerpoint presentation at the Old Baptist Chapel, giving an update on the work in Zambia, and then I preached. I spent the evening with Andrew and Jo Alsop, trying to understand how England had become so politically unchristian. I find it difficult to get my mind around the fact that a nation that has had such a rich spiritual past with so many good preachers, churches, and Bible Colleges, should reach levels where Christians get fired from work for offering to pray for someone else. What really has gone wrong with Britain? There are no easy answers, but the discussion with the Alsops helped to shed some light. As I left the UK the next day to return to warm central Africa, I was grateful for individuals like Andrew Alsop who put the whole UK itinerary together for me. You need someone “on the ground” to piece a jigsaw together that will take you up and down the UK without any hitches. 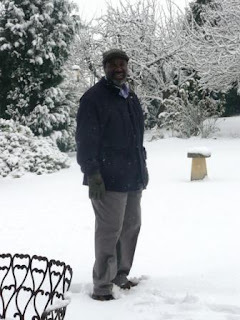 I am also grateful to every individual who extended hospitality to me, in the midst of the cold, cold British winter. Keeping a warm-blooded African comfortable in sub-zero temperatures cannot be easy. Finally, I am grateful to individuals like Alan Levy who drove me across England and Wales while I read the works of John Owen printed behind my eyelids!